Day 5: Our 1st Science Olympiad meeting! I'm so excited to help get a Science Olympiad team started at Murchison. 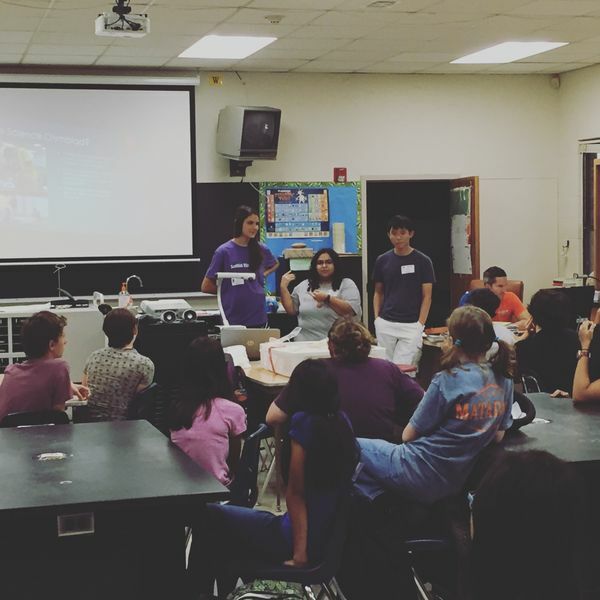 We had 3 current University of Texas students come to answer questions and share a little bit about what Science Olympiad can look like. They're also willing to help mentor the kids and get our team ready for competitions! I was also super impressed with the diverse group of kids we had show up. We had more girls than boys come to the first meeting, a great showing of 6th graders, and kids from all backgrounds. Science isn't just for old white guys! #ILookLikeAScientist #ILookLikeAnEngineer are two hashtags that trended recently and reminded me of what I saw today during Advisory. I can't wait to get this up and running!